On Christmas eve, I received an unexpected package along with a laser burning stare from Mrs S. I protested that I was not expecting anything and she relented when she saw a lovely Xmas card inside from Jakub, Jaroslav and the rest of the team from Pelikan puzzles. 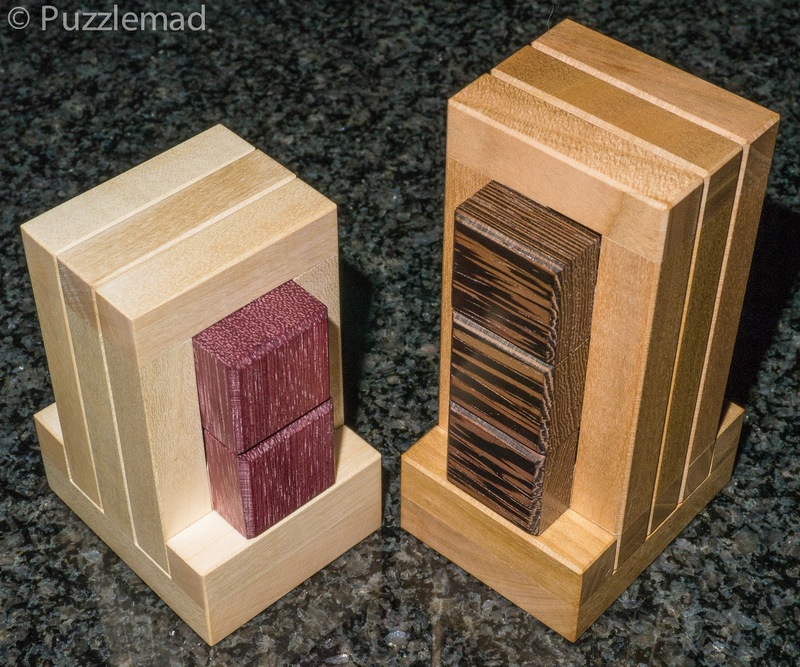 These 2 are the latest puzzles about to come out they were both designed by the amazing Stéphane Chomine. They are Little Portico and Portico J and as with all of their work they are just beautifully made! So far only Little Portico is solved and I am seriously struggling with the bigger one - I was lulled into a false sense of security by the easier one! Thank you guys - it earned me another burn mark between my eyes from she who must be flinched from but it is definitely worth it!